Receive 11 Voucher Bids. Learn more about Voucher Bids. And what a treat it is! You'll savor the delicious taste of our mild, delicious Filet Mignons, aged to tender perfection for your enjoyment. 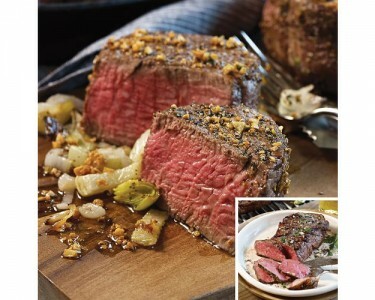 And when it comes to the ultimate grilling steak, Omaha Steaks Boneless Strip Sirloins are ready to be enjoyed! Known as the "ultimate cookout steak"